By removing the counter weight and replacing it with a spring, the weight of the product has been reduced by 40% compared to equivalent products in the market. The disc of the valve is vulcanised giving a reliable and resilient sealing. By avoiding the traditional tilted seat, the flow through the valves has increased by 10%. Having engineered out the lead filled counter weight incorporated in previous models, the new design valves are now compliant with IHM/Green passport. Critical components, such as the innovative spring, are placed outside of the media for protection against corrosion, allowing easy inspection and maintenance. Easier to handle and operate in tight places. Available with 3.1 certification and Classification Society certification if required. LK Valves AB are directly involved in the design, development and production of their new storm valve range. 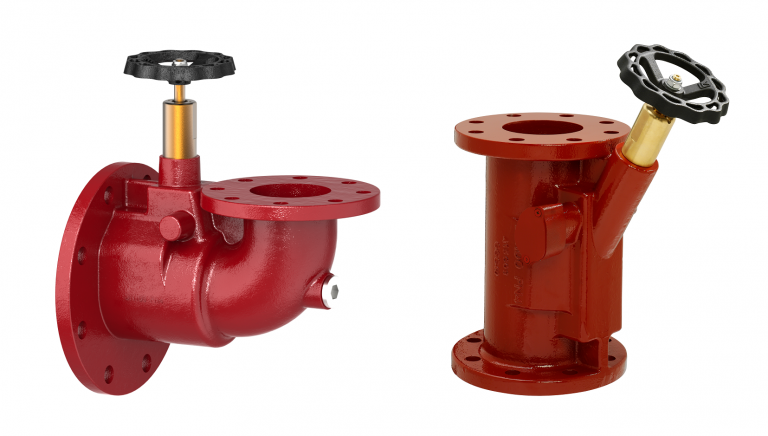 These valves are manufactured at their own production facility to ensure they meet with their high quality standard throughout the entire production process.